When Odyssey has become a classic and most classics have to be 20 years old at a minimum. I can already see the commercial: "Odyssey! Redefining standards!" A classic?! Wouldn't go that far but thanks. Well, when people talk about the classics of their day, they really talk about what defined that industry at the time. What was most innovative, creative and interesting, and what got people's attention. 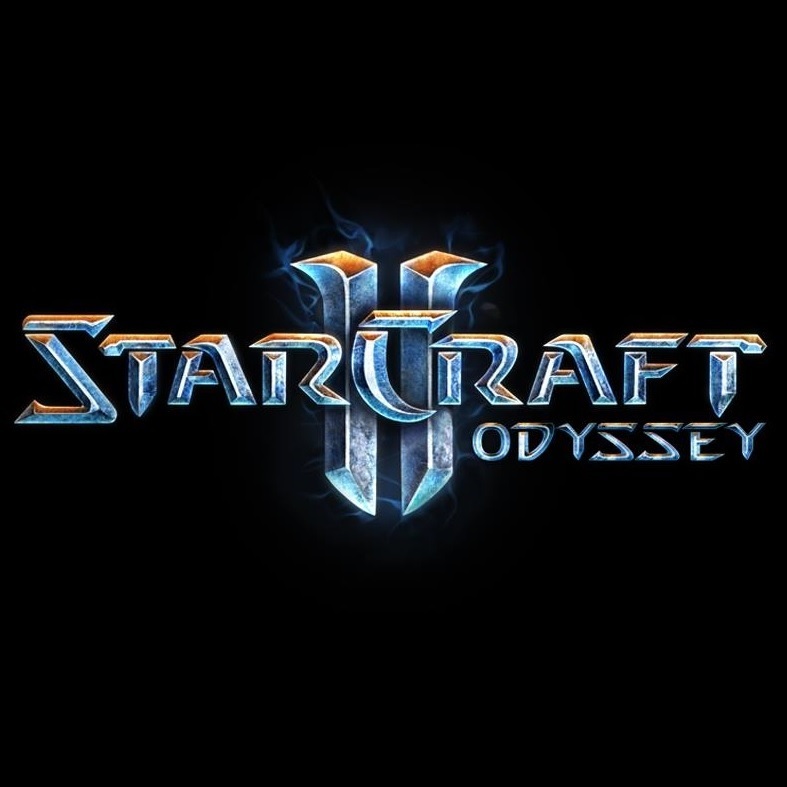 Odyssey has definitely defined what can be done in SC2 and has proved to be highly innovative, the story was interesting, unique, creative and emotionally meaningful, and it got a lot of peoples attention. Odyssey truly has hit all the marks of what it takes to be a classic, it just hasn't been around long enough to be one. I really loved playing the odyssey campaign and i would love to see a sequel to my favorite custom SC2 campaign. If I am being a derp and there actually is a sequel I would love to know. Just finished playing Act I, it was amazing. I have only one criticism, where is Act II, pleeeeease. Really well done, I really loved that there were other characters besides just the few heroes and different Soldiers had different Names. You really have put much work into this mod. Thanks. Thanks for the compliment, mate. hey man huge fan of your work! i really love the campaign. a small issue is still the hotkeys tho for example i can't edit the hotkeys for Masterson. could you maybe take a look at it? :) also i'm kinda wondering: is there an act II coming up? Hey, a lot of the abilities aren't part of the official game and maybe that's what's interfering with the hotkeys but I've no idea how to fix it. As for Act II, I did start a map but that was months ago and haven't worked on it. If Act II will ever be released, I'll throw a literal party, no jokes! same man! ill bring beer! hope you get the time for it brother you are a true artist! Well, i downloaded.. But i see only part 8 to 14, something's wrong? Right? I know, it doesn't changes anything but didn't work still, i guess they are missing..
And i have to start from 8°..
Oh wait.. I feel really bad i didn't notice the download's name.. Umm im sorry.. Enjoy your adventures in the Kardyan Quadrant then. Already finished, it's beautiful.. I was almost crying when i thought Agent Meeks is with Federation.. Discovered and finished the campaign within a week. I am forced to declare that this custom campaign by far exceeded my expectations and as my first experience with custom campaigns, set the bar for others particularly high. The cutscenes are incredibly well done and the writing blew me away with it's clarity and the ease with which the feelings were. I am astonished by how much work it must have been to complete such a massive project. Each of the missions were clearly crafted with great care, patience and love. The inner-terran conflicts felt much more real than even the original game's campaigns presented them and to be honest, the plot developed exactly like I would have wished it to. The characters were well thought out, fleshed out and portrayed. All of that to simply say: thank you, author, for releasing such a pleasant project to the community. Thanks for the words. Plenty of good custom campaigns out there for you to try. Yeah, there's plenty of good campaigns out there... but none of them are better than this one, imo. A beautiful campaign, probably the best custom campaign for SC2 I've ever played. In terms of awesomeness and "wow effect" it's on the same level with Mass Recall for me but with much more complex triggering work. And as Mass Recall is not exactly a _custom_ campaign but a remake of SC1, I'd say this campaign is unparallel for its quality and story. I wish more people would play it and I do all I can to spread the word about Odyssey among SC players I know. It would be delightful to see the second chapter released someday. Yes, spread the word to the four corners of the world. Thanks, mate. Please-please, make the second Act. It's just not fair to all of us players.